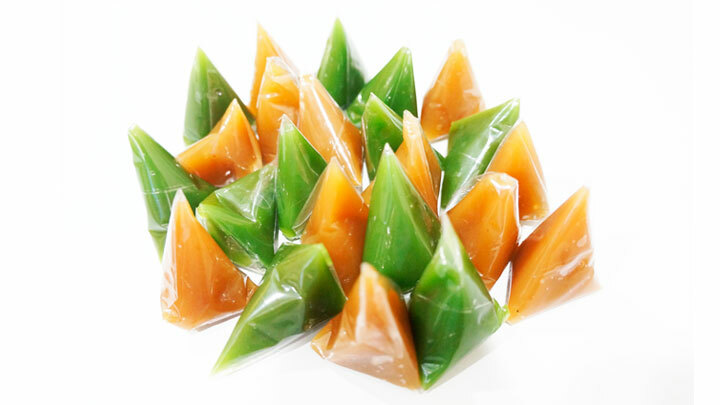 ‘Dodol’ is a thick, sticky and sweet toffee-like confection made from coconut milk, jaggery, and rice flour. It is popular in many parts of South and Southeast Asia, including Malaysia. When it comes to such local delicacies in Malaysia, Tan Kim Hock is the undisputed go-to brand for locals and tourists looking to savour these sweets. Its name-sake Mr. Tan Kim Hock (together with his late wife) created varieties of the dodol such as the durian dodol, coconut dodol and coconut biscuits; selling them from door-to-door since the 1950s before the company, Tan Kim Hock Tong Seng Food Industry Sdn Bhd (“TKHTS”) was incorporated in 1975 in the historical state of Malacca. In 1976, TKHTS filed a trademark application Number M/072924 to register the mark (“TKH trademark”) for dodol, coconut biscuits and coconut candy in Class 30. The TKH registration has been renewed until 2021. TKHTS found themselves defending their trade mark rights in the High Court case of Tan Kim Hock Tong Seng Food Industry Sdn Bhd v Tan Kim Hock Product Centre Sdn Bhd & Siah Siu Eng  7 MLJ 561. The second defendant, Madam Siah Siu Eng was a director and shareholder of Tan Kim Hock Product Centre Sdn Bhd (“TKH Product Centre”) together with Mr. Tan since 2001. TKH Product Centre was set up to market and sell dodol manufactured in the plaintiff’s factories. In 2012, Mr. Tan sold his interest in the TKH Product Centre to Madam Siah. Until November 2013, the plaintiff’s products continued to be sold at the TKH Product Centre, before TKHTS stopped supplying to the centre. Subsequently, the plaintiff found dodol products not originating from TKHTS (but bearing a mark which was confusingly similar to the TKH trademark) were still being sold at the TKH Product Centre. The plaintiff also raised concerns that since its dodol products are certified ‘halal’ (kosher) according to Muslim laws, whether the similarly-branded dodol by the defendants are actually ‘halal’ certified as well. Otherwise, it will jeopardize the plaintiff’s reputation. Premised on the above, a Trade Description Order (“TDO”) was granted by the court in 2014 to TKHTS and a raid on TKH Product Centre was carried by the enforcement unit that same year. This case was an application by the defendants for leave to intervene and set aside the TDO. They claimed that Madam Siah, who started working for Mr. Tan in the 1970s, co-created the trademark. They further alleged, among others, that (i) the TKH mark as registered in 1976 has been abandoned through non-use; and (ii) when Mr. Tan sold his interest in TKH Product Centre to Madam Siah, it included the goodwill and the mark concerned. With or without the words “CAP POKOK KELAPA”, the dominant feature remains the T device of a coconut tree, which is used on the TKHTS’ dodol. Since the plaintiff has been using the registered trademark with slight and acceptable modification, there can be no intention to abandon the mark. So long as there is a registered trademark and the same has been infringed, that formed the basis of the TDO. To aggravate matters, the ‘halal’ certification granted to the plaintiff to be affixed on its products were found (during the raid on TKH Product Centre) used by the defendants for a few hundred seasoning packs of Bak Kut Teh (a usually non-halal meat dish) bearing TKH trademark as well. Thus, not only was there an abuse of trademark rights but also the ‘halal’ certification.